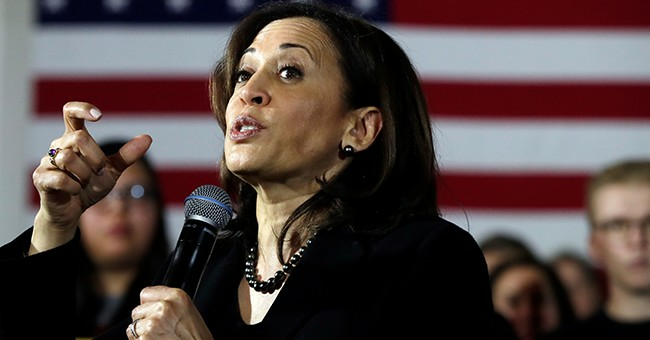 Democratic presidential candidate Kamala Harris is demanding to haul Attorney General Bill Barr in front of Congress to testify about the details of the Mueller report. Senator Cory Booker, who is also running for president, is also piling on. They're also using the situation to fundraise and farm emails. Barr sent a letter to Senate Judiciary Chairman Lindsey Graham, Ranking Member Dianne Feinstein, in addition to House Judiciary Chairman Jerry Nadler and Ranking Member Doug Collins late afternoon. He plans to brief them on the report over the weekend. "I am reviewing the report and anticipate that I may be in a position to advise you of the Special Counsel's principal conclusions as soon as this weekend," Barr wrote. "Separately, I intend to consult with Deputy Attorney General Rosenstein and Special Counsel Mueller to determine what other information from the report can be release to Congress and the public consistent with the law, including the Special Counsel regulations, and the Department's long-standing practices and policies. I remain committed to as much transparency as possible, and will keep you informed as to the status of my review." During his confirmation hearings in January, Barr repeatedly pledged to be as transparent as possible regarding the release of the Mueller report.